Bumble bees and honey bees are very similar in that they both pollinate and collect nectar. Lets talk about what makes them different and some possible reasons for professional Bee Removal. Bumble bees pollinate and collect nectar, but they do not make honey. 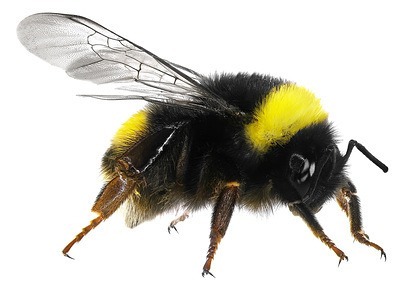 There are quite a few different species of bumblebee and they don’t all look exactly the same. There are small ones and large ones, orange ones and black ones. Bumble bees when they make a nest, instead of the classic honeycomb nest, their nest looks like a ball of small pods and they always build them in something soft (ie. an old birds nest or in the insulation of your home!). Bumble bees nest size varies, but are very small in comparison to the honey bee. The nest size ranges in the hundreds (instead of the thousands for honey bees). Honey bees are the only bees that technically “swarm”. When a colony is over crowded is when they begin to swarm. The basic idea of how it happens is, the queen will raise another queen to take over the colony and then the original queen will leave with 10,000 or so bees to start another colony. When the queen and her colony are looking for a new home, the swarm will land on a branch of a tree or something similar, stack themselves on top of one another and send out scout bees to look for a new hollowed out cavity to move into. We’ve talked about how bumble bees create nests, as well as wasps. Honeybees actually use a hollowed out cavity to stretch honeycomb across. You will usually find them in hollowed out sections of trees, chimneys, and walls of houses or buildings. When honey bees are swarming they are very gentle, until you start to mess with them (ie swatting at them, kids with a hose, adults with a hose). 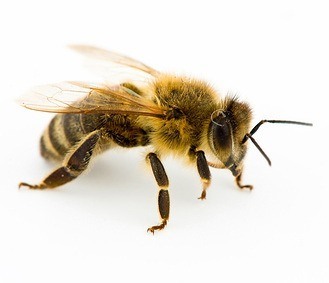 Once the honeybees are angry they can become extremely dangerous and even deadly. Some people are very allergic to Honey Bees, resulting is serious medical conditions when stung! They should be left for a professional to deal with. and get professional Bee Removal done. Give us a call if you find yourself with a bee problem and need Bee Removal. If you are worried because you have someone in the home allergic to bees, don’t worry. Bloom offers same day, next day service. Call or click to speak with one of our highly trained technicians today! Say goodbye to stinging insects! Our professional pest control technicians excel at ridding your home or business of any and all stinging insects. Give us a call or use the handy online form below to get started on the road to pet and family friendly extermination or relocation (honeybees need a new home - they are our friends).